Would You Support Research On Animals If It Benefits … Animals? A quick survey of my Veterinary clients indicates that a sizable population of people opposes research on animals. I agree wholeheartedly. This is so because we see the animals as helpless victims and not beneficiaries. What most people don’t know is that the all of the drugs used in Veterinary medicine were once upon a time tested on animals for human use. It’s a kind of long-way-around benefit: drugs are tested on animals, used for humans and then taken up by Veterinary practitioners. 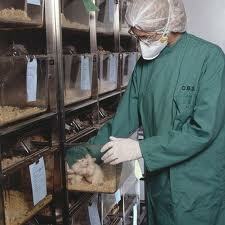 It is of course immoral and wrong to use animal research where non-animal alternatives are available. But some times there is no alternative. The message for those of us who feel passionately about animal welfare is that if animal use is necessary, it will ensure better treatment for generations of animals in the future.